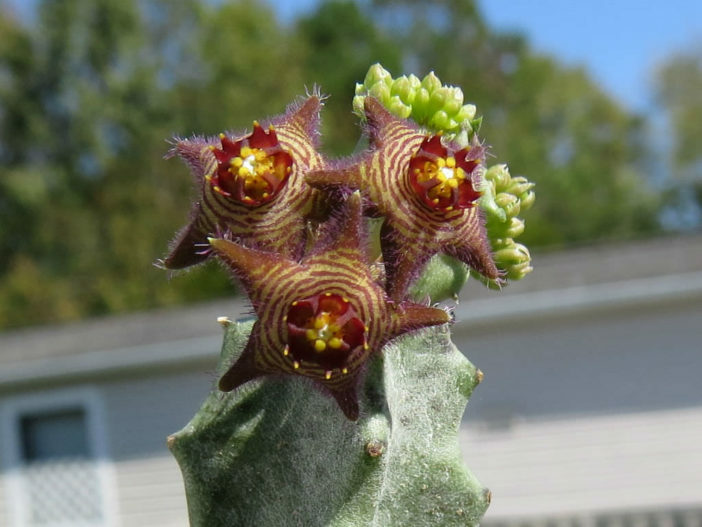 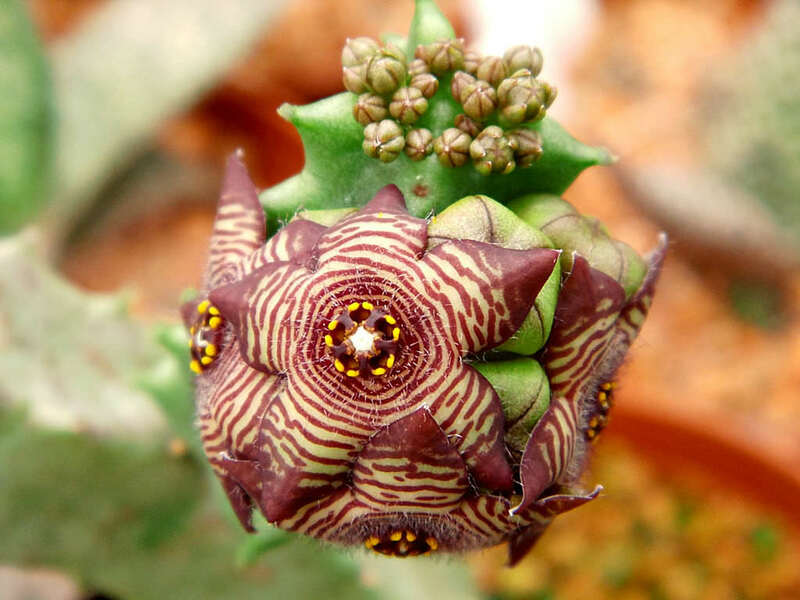 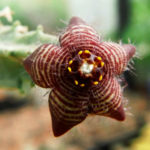 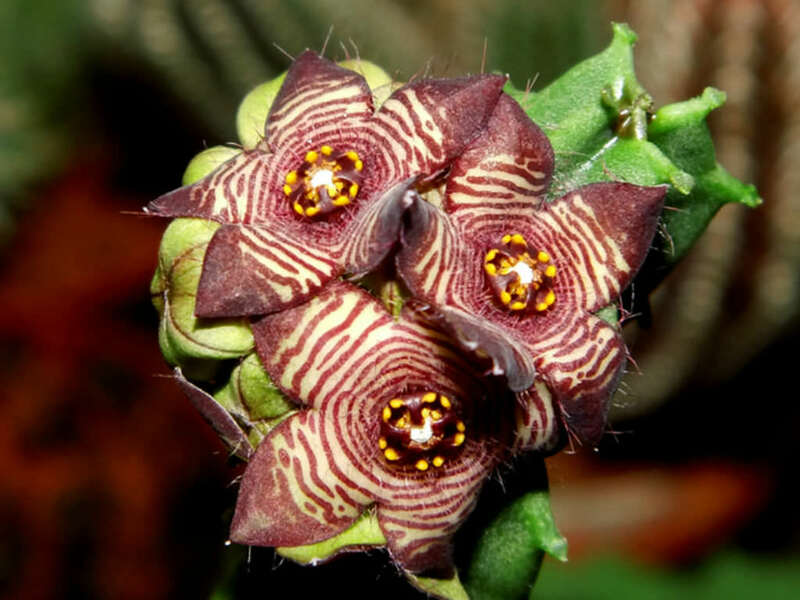 Caralluma europaea is a low, perennial, mat-forming succulent. 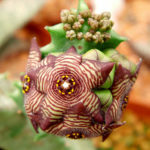 The stems are ascending or sprawling, up to 8 inches (20 cm) long, up to 0.8 inch (2 cm) across, green or purplish-brown, 4-angled, flat to concave, with acute to obtuse, toothed or lobed angles. 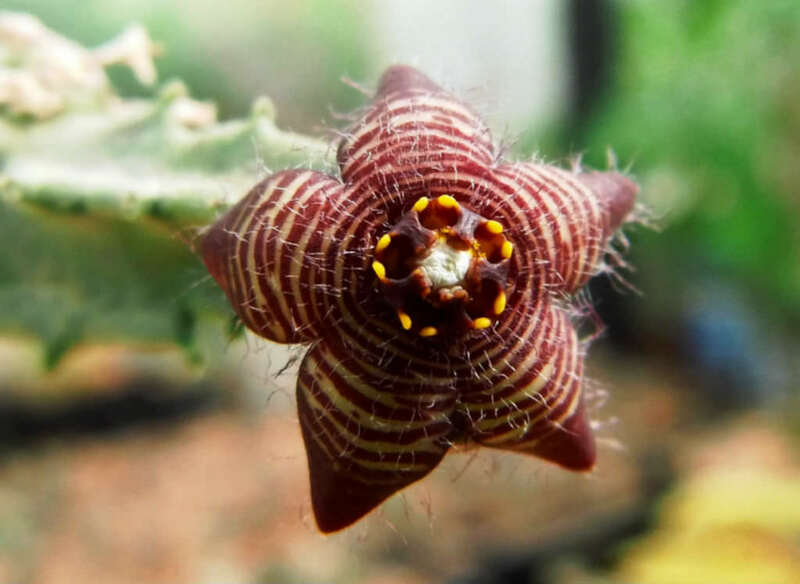 The flowers are variably hairy, up to 1 inch (2.5 cm) in diameter, dirty white or yellowish with reddish-brown or purplish bands to entirely purplish. 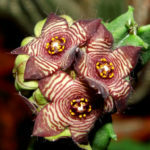 Native to south-eastern Spain, southern Italy, Morocco, Tunisia, Libya, Egypt and Jordan.